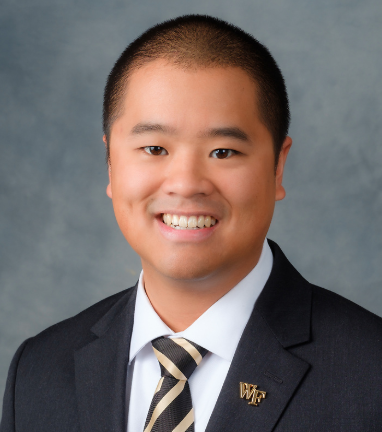 Alana James, associate director of community engagement at Wake Downtown, and University Advancement Development Officer Anthony Tang, have been named to the Chamber’s Under 40 Leadership Program. Winston Salem Chamber of Commerce’s Under 40 program, one of the community’s leading organizations for young professionals, honors outstanding individuals who exemplify qualities of strong leadership and community service. Applications were considered based upon professional and personal growth, civic leadership and volunteerism, desired impact on Winston-Salem’s future, and response to recent issues. This group of 20 young professionals have achieved a variety of notable professional accomplishments, and are making an impact through their participation in a multitude of local nonprofit and community organizations. The honorees will be recognized at the 2018 Leadership Awards reception on Oct. 4 at Forsyth Country Club. Visit winstonunder40.com for more information.